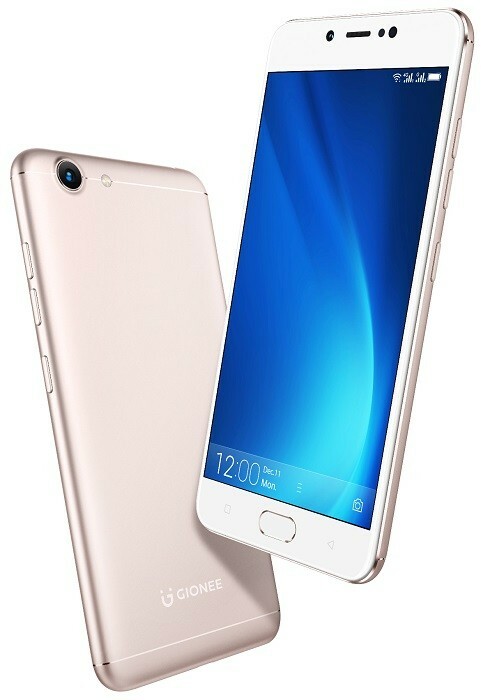 Late last month, Chinese smartphone brand Gionee launched the S11 and S11S smartphones in China. Now today, the company has launched the Gionee S10 Lite in India. The Gionee S10 Lite is a selfie-centric smartphone, but, unlike the S11 and S11S which sport dual cameras on the front, the S10 Lite only comes with single front camera to get the job done. Being a selfie-centric smartphone, the Gionee S10 Lite comes with a 16 MP front camera with f/2.0 aperture. The camera is also aided by “Selfie Flash” so that you can take better selfies under low-light conditions. That said, for regular shots, you get a 13 MP snapper at the back that comes with f/2.0 aperture and is accompanied by LED flash. The Gionee S10 Lite sports a 5.2-inch display that has a resolution of 1280 x 720 pixels, and, keeping the device up and running is a 3100 mAh battery. The S10 Lite also comes with a fingerprint scanner at the back for additional security, and, it boots up to Amigo 4.0 that’s based on Android 7.1 Nougat. Having said that, the Gionee S10 Lite also comes with a WhatsApp clone feature that lets users create and use three different accounts of WhatsApp. Moreover, it also comes along with a blue light filter that protects your eyes from being damaged due to prolonged use of smartphone at night or in low light.